Emulating others’ ideas is an underappreciated learning tool. Many creative innovators set forth as remarkably astute mimics of others. “Good artists copy, great artists steal,” prods a creator’s maxim often misattributed to Picasso. Imitation is a leading pathway to business innovation, even if being an imitator is anchored by a sense of derision. Ever more businesses are nicking great ideas wherever they can obtain them—in their own industries or beyond. Hospitals have adapted safety and efficiency procedures from the military and the airline industry. Aircraft manufacturers have adopted the car industry’s lean supply chain management concepts. Ritz-Carlton, the luxury chain of hotels and resorts, runs the Ritz-Carlton Leadership Center that has helped trained its legendary cult of customer service and employee empowerment best practices to managers from companies across industries. The most prominent example of innovating by imitation is Ford’s development of the automobile assembly line—a system Henry Ford copied (and improved) from the Chicago meat processing business. Henry Ford’s relentless ambition to build his Model T a high-volume-low-cost automobile, together with his engineering knowledge and manufacturing experience provided the leadership and creative environment that nurtured the development of the moving mechanical assembly line. Today, the moving assembly line is the epitome of manufacturing. Almost everything that is now industrially manufactured—automobiles, aircrafts, toys, furniture, food—passes down assembly lines before landing in our homes and offices. The genesis of the moving assembly line is in the American agricultural products industry. During the late 18th century, the movement of grains changed from hand labor to belts and later moving hoppers. 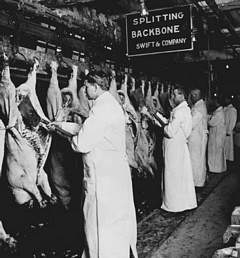 By 1873, Chicago’s meat-processing industry adapted belts and hoppers to transform beef and pork production into a standardized, mechanized, and centralized business. After cows and pigs travelled to their fate in train cars from farms throughout the Midwest, they were dropped into hoppers and killed. Conveyor belts then moved carcasses past meat cutters, who progressively removed various sections of the animal, cut them into appropriate sizes, and repackaged and dispatched processed meat across the United States. In the early 1900s, when Henry Ford wanted to keep Model T production up with demand and lower the price, Ford’s team explored other industries and found four ideas that could advance their goal: interchangeable parts, continuous flow, division of labor, and cutting wasted effort. Ford’s engineers visited Swift & Company’s Slaughterhouse in Chicago and decided to adopt the “disassembly line” method to build automobiles. 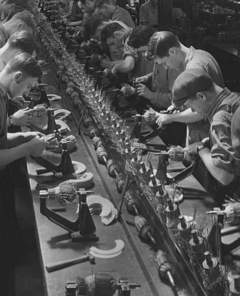 The introduction of the moving assembly line process in 1913 enabled increased production up to 1,000 Model Ts a day and decreased assembly time from 13 hours to 93 minutes. 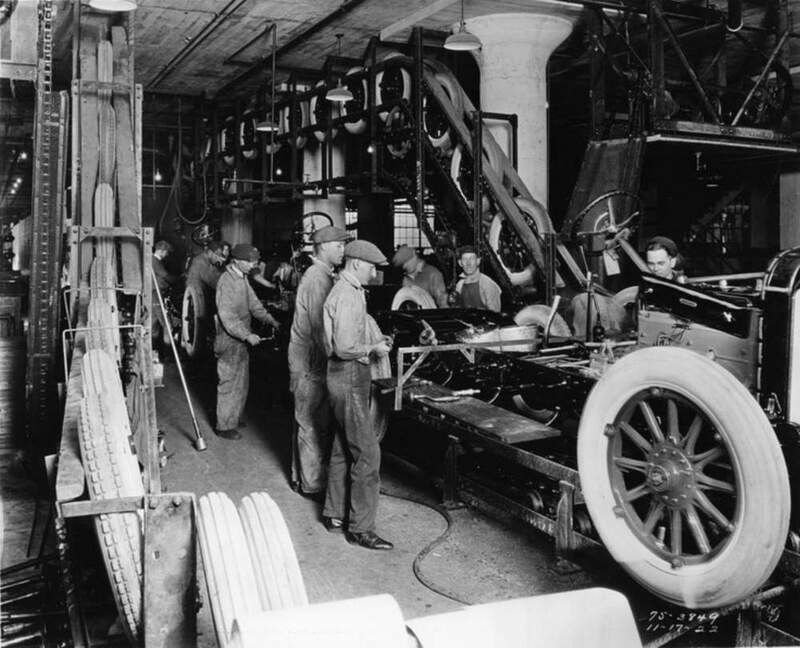 Additional refinement of the process, thanks to reliable precision equipment and standardized shop practices, shortened production time radically: within a few years, a new Model T rolled off the assembly line every 24 seconds. First produced in 1908, the Model T kept the same design until the final one—serial number 15,000,000 rolled off the line in 1927. Sadly, just as Henry Ford copied the Chicago meat processing and perfected the moving assembly line, the Nazi apparatus copied Ford’s methods of mass production to massacre six million people. While Midwestern butchers processed the livestock carcasses, the Nazis systematically handled corpses of the victims of the Holocaust. Nazi operatives removed victims’ hair, clothing, shoes, gold teeth, hairbrushes, glasses, suitcases, and anything of value to be repurposed for the Reich. The atrocities of this inexpressibly shocking disaster are on display at the train tracks and the museums of Auschwitz-Birkenau, Poland. I hate Benchmarking! Benchmarking is stupid! Why is it stupid? Because we pick the current industry leader and then we launch a five-year program, the goal of which is to be as good as whoever was best five years ago, five years from now. Which to me is not an Olympian aspiration. One of the key characteristics of highly creative people is their exposure to and experience with working in several related domains. They are very good at crossing domain boundaries, relating their creativeness in new and perhaps unexpected ways, and adapting knowledge into new domains. The following case of one of history’s most famous innovators illustrates this distinguishing characteristic. Interestingly, many “benchmarking” exercises in the world of business—even academia—do not come “top-down” out of strategy. In other words, innovations by imitation are typically not driven from the top down. Instead, they materialize from everyday operational challenges—those painful experiences that send managers scuttling for solutions in a hurry. Look outside your industry. To improve your creativity, try spending time researching other smart companies—even those outside of your industry. Learning directly from other companies is a useful, underutilized form of research for finding ways to improve performance. Attend to developments at your competitors and in other industries. Look for potential opportunities that have been discovered elsewhere. Avoid the “not invented here” syndrome—don’t reject other’s great ideas. Keep an open mind. Bad Blood: Secrets and Lies in a Silicon Valley Startup (2018) is Wall Street Journal investigative reporter John Carreyrou’s remarkable exposé on Theranos, the former high-flying Silicon Valley tech startup founded by Elizabeth Holmes. Theranos formally dissolved last week after a high-profile scandal revealed that the company not only deceived investors, but also risked the health of thousands of patients. 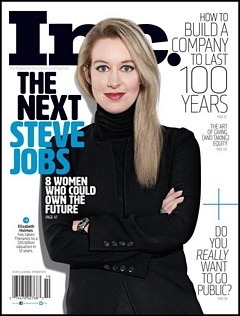 In 2015, Theranos was one of Silicon Valley’s superstars. Valued at some $9 billion, Theranos claimed an out-and-out disruption of the $73-billion-a-year blood testing industry. 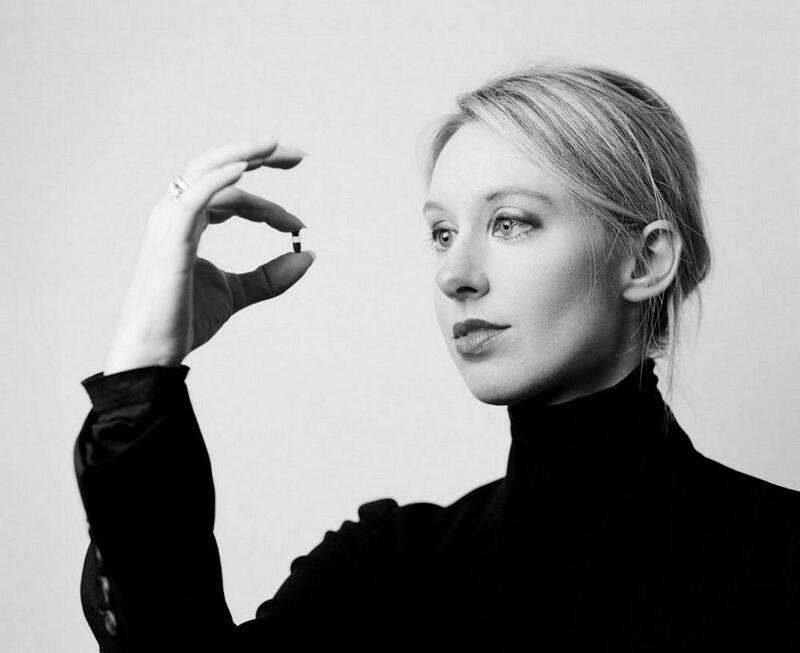 Elizabeth Holmes pitched a revolutionary technology that could perform multiple tests on a few drops of capillary blood drawn by a minimally invasive finger prick, instead of the conventional—and much dreaded—venipuncture needle method. Theranos has its origins in 2004, when the brilliant Holmes, then a 19-year old Stanford sophomore, dropped out of college to start the company. Her missionary narrative swayed just about everyone to believe in the potential she touted. Over the years, Theranos attracted a $1 billion investment, an illustrious board of directors, influential business partners (Walgreens, Safeway, Cleveland Clinic,) and significant amounts of adulation by the media—all of this lent credence to Holmes’s undertaking. She was celebrated as the youngest, self-made female billionaire in the world. Theranos’s castle in the air started to crumble in October 2015, when Carreyrou’s first Wall Street Journal article reported that the company was embellishing the potential of Theranos’s technology. Based on past employees’ disclosures, the article also cast serious doubts on the reliability of Theranos’s science. Behind the scenes, Theranos performed a majority of its blood tests with commercial analyzers purchased from other companies. Without much independent due diligence, Theranos’s supporters possibly assumed that everyone else had checked out the company, its founders, and its science. Theranos got away with its actions for as long as it did because no one could conceive of the idea that the business would simply lie as much as it did. Bad Blood also draws attention to Silicon Valley’s many failings, including the cult of the celebrity founder. Holmes’s smoke and mirrors was enabled by the notion of a “stealth mode” in which many Silicon Valley startups operate to protect their intellectual property. Theranos never proved that its testing technology really worked. It was performing tests on patients without having published peer-reviewed studies, getting FDA certification, or carrying out external evaluation by medical experts. Carreyrou acknowledges that Holmes’s initial intentions were honorable, even if naïve. What triggered Holmes’s downfall was the characteristic entrepreneurial “fake it till you make it” ethos—it inhibited her from conceding early on that her ambitions were simply not viable. When things didn’t go as intended, Holmes exploited the power of storytelling to get everyone to buy into her tales. She continued to believe that the reality of the technology would catch up with her vision in the future. Trapped in a web of hyperbole and overpromises, Holmes and her associate (as well as then-lover) Sunny Balwani operated a culture of fear and intimidation at Theranos. They went as far as hiring superstar lawyers to threaten and silence employees and anyone else who dared to challenge the company or expose its deficiencies. 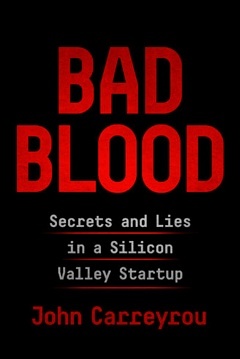 Every inventor, entrepreneur, investor, and businessperson should read Bad Blood. It’s a fascinating and meticulously researched report of personal and corporate ambition unraveled by dishonesty. This page-turner is a New York Times bestseller and is expected to be made into a movie. Key-Person Dependency Risk is the threat posed by an organization or a team’s over-reliance on one or a few individuals. 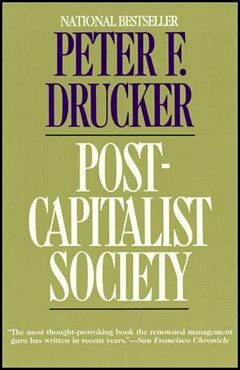 The key-person has sole custody of some critical institutional knowledge, creativity, reputation, or experience that makes him indispensable to the organization’s business continuity and its future performance. 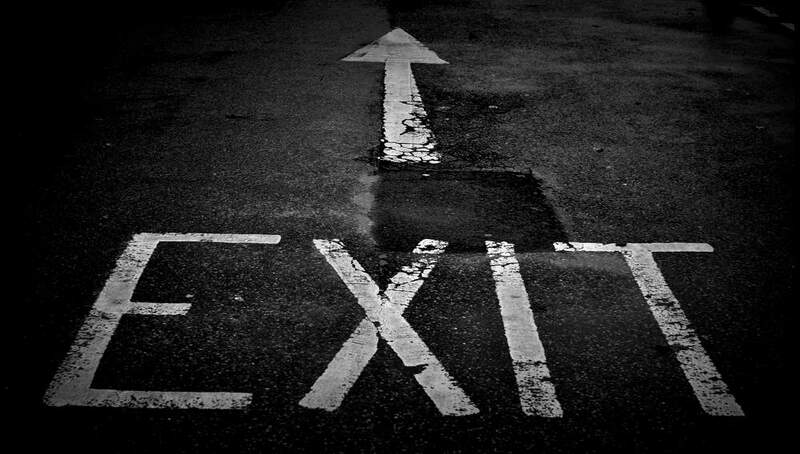 If he/she should leave, the organization suffers the loss of that valued standing and expertise. Small businesses and start-ups are especially exposed to key-person dependency risk. Tesla, for example, faces a colossal key-man risk—its fate is linked closely to the actions of founder-CEO Elon Musk, who has come under scrutiny lately. Much of Berkshire Hathaway’s performance over the decades has been based on CEO Warren Buffett’s reputation and his ability to wring remarkable deals from companies in duress. There’s a great deal of prestige in selling one’s business to Buffett. 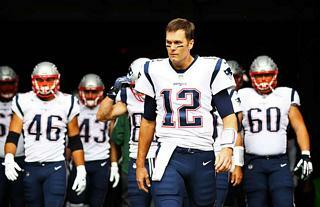 He is irreplaceable; given his remarkable long-term record of accomplishment, it is important that much of what he has built over the years remains intact once he is gone. Buffett has built a strong culture that is likely to endure. 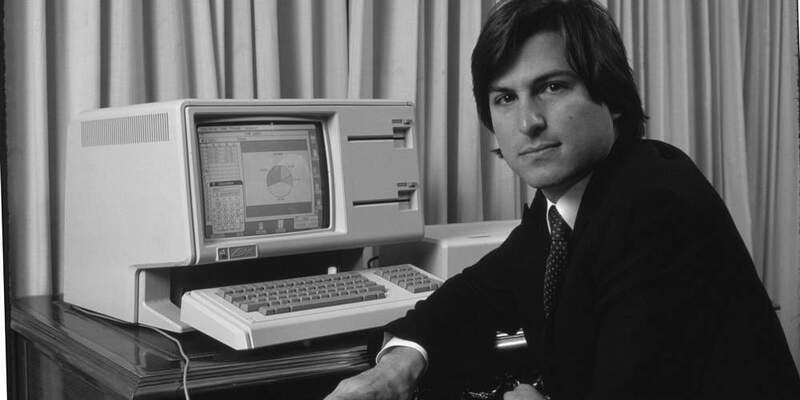 The most famous “key man” of all time was Apple’s Steve Jobs. Not only was he closely linked to his company’s identity, but he also played a singular role in building Apple into the global consumer-technology powerhouse that it is. Jobs had steered Apple’s culture in a desired direction and groomed his handpicked management team to sustain Apple’s inventive culture after he was gone. Tim Cook, the operations genius who became Apple’s CEO after Jobs died in 2011, has led the company to new heights. The basic solution to key-person dependency risk is to identify and document critical knowledge of the organization. (Capturing tacit knowledge is not easy when it resides “in the key-person’s head.”) Organizations must also focus on cross-training and succession planning to identify and enable others to develop and perform the same tasks as the key-person. Idea for Impact: No employee should be indispensable. A well-managed company is never dependent upon the performance of one or a few individuals. As well, no employee should be allowed to hoard knowledge, relationships, or resources to achieve job security. When Jack Welch became CEO of General Electric (GE) in 1981, he set out to make GE “the world’s most competitive enterprise.” However, the company was a hodgepodge of many businesses—some unrelated or irrelevant, several unprofitable, and a few at the brink of failure. Welch’s responded with his legendary dictum that every GE division be—or become—the leading or the runner-up business in its respective industry, or plan to exit it completely. Welch argued that in many markets, the number three, four, five, or six players suffered the most during cyclical downturns. On the contrary, number one or number two businesses could protect their market share by way of aggressive pricing approaches or by developing new products. Welch’s approach portended the emergence of oligopolies in many industries. By year 2000, GE had reached dominance or near dominance in most of its business markets across the globe. Analysis of the half successes, half failures. A turnaround requires abandoning whatever does not perform and doing more of whatever does perform. Don’t do—or continue to do—something just because it’s been a tradition, custom, or habit. Strengthen, abandon, or stay on. Align your efforts with your mission, your values, and the results you want to achieve. If you abandon something important mistakenly, you can quickly pick up where you left off. Invest your precious resources where the returns are rich. Airline disasters often make great case studies on how a series of insignificant errors can build up into catastrophes. As the following two case studies will illuminate, unanticipated pressures can force your mind to quickly shift to a panic-like state. As it searches frenetically for a way out of a problem, your mind can disrupt your ability to take account of all accessible evidence and attend rationally to the situation in its entirety. Eastern Airlines Flight 401 crashed on December 29, 1972, killing 101 people. The flight deck got thrown into a disarray. The flight’s captain, Bob Loft, sent flight engineer Don Repo to the avionics bay underneath the flight deck to verify through a small porthole if the landing gear was actually down. Loft simultaneously directed Stockstill to put the aircraft on autopilot. 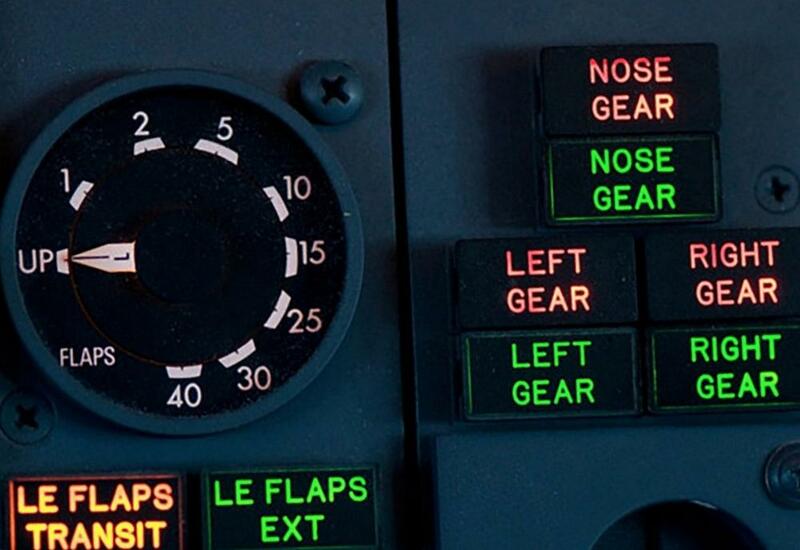 Then, when Loft unintentionally leaned against the aircraft’s yoke to speak to Repo, the autopilot mistakably switched to a wrong setting that did not hold the aircraft’s altitude. The aircraft began to descend so gradually that it could not be perceived by the crew. With the flight engineer down in the avionics bay, the captain and the first officer were so preoccupied with the malfunction of the landing gear indicator that they failed to pay attention to the altitude-warning signal from the engineer’s instrument panel. Additionally, given that the aircraft was flying over the dark terrain of the Everglades in nighttime, no ground lights or other visual cues signaled that the aircraft was gradually descending. When Stockstill eventually became aware of the aircraft’s altitude, it was too late to recover the aircraft from crashing. In summary, the cause of the Flight 401’s crash was not the nose landing gear, but the crew’s negligence and inattention to a bigger problem triggered by a false alarm. United Airlines Flight 173 crashed on December 28, 1978, in comparable circumstances. When Flight 173’s pilots lowered the landing gear upon approach to the Portland International Airport, the aircraft experienced an abnormal vibration and yaw motion. In addition, the pilots observed that an indicator light did not show that the landing gear was lowered successfully. In reality, the landing gear was down and locked in position. With the intention of troubleshooting the landing gear problem, the pilots entered a holding pattern. For the next hour, they tried to diagnose the landing gear glitch and prepare for a probable emergency landing. During this time, however, none of the pilots monitored the fuel levels. When the landing gear problem was first suspected, the aircraft had abundant reserve fuel—even for a diversion or other contingencies. But, all through the hour-long holding procedure, the landing gear was down and the flaps were set to 15 degrees in anticipation of a landing. This significantly increased the aircraft’s fuel burn rate. With fuel exhaustion to all four engines, the aircraft crashed. To sum up, Flight 173’s crew got preoccupied with the landing gear’s malfunction and harried preparations for an emergency landing. As a result of their inattention, the pilots failed to keep tabs on the fuel state and crashed the aircraft. Under pressure, your mind will digress from its rational model of thinking. The emotional excitement from fear, anxiety, time-pressure, and stress can lead to a phenomenon known as “narrowing of the cognitive map.” This tunnel vision can restrict your field of mindful attention and impair your ability for adequate discernment. 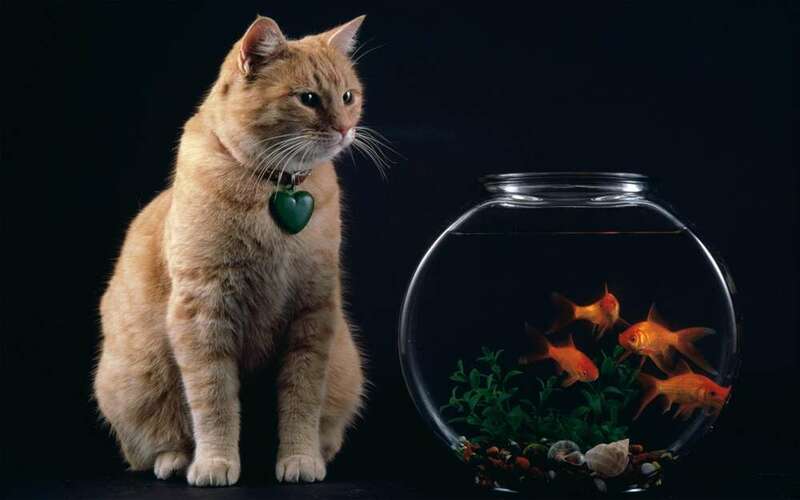 Situational close-mindedness can constrict your across-the-board awareness of the situation and force you overlook alternative lines of thought. Idea for Impact: To combat cognitive impairment under stress, use checklists and standard operating procedures, as well as increased training on situational awareness, crisis communication, and emergency management, as the aviation industry did in response to the aforementioned incidents. “Art consists in limitation,” as the English writer G. K. Chesterton remarked. Constraints are the sine qua non of creativity. Constraints can shape and focus problems and provide clear challenges to overcome. Constraints stimulate creativity because they not only invigorate inventive thinking but also reduce the complexity of the problem at hand. That is to say, constraints can make a problem more controllable, and possibly even more appealing. When you explore inventions that are creative, you’ll discover that the creators often exploited some core constraints that had characterized their domain in the past. Here are six examples of creativity that exploited a constraint to great advantage. 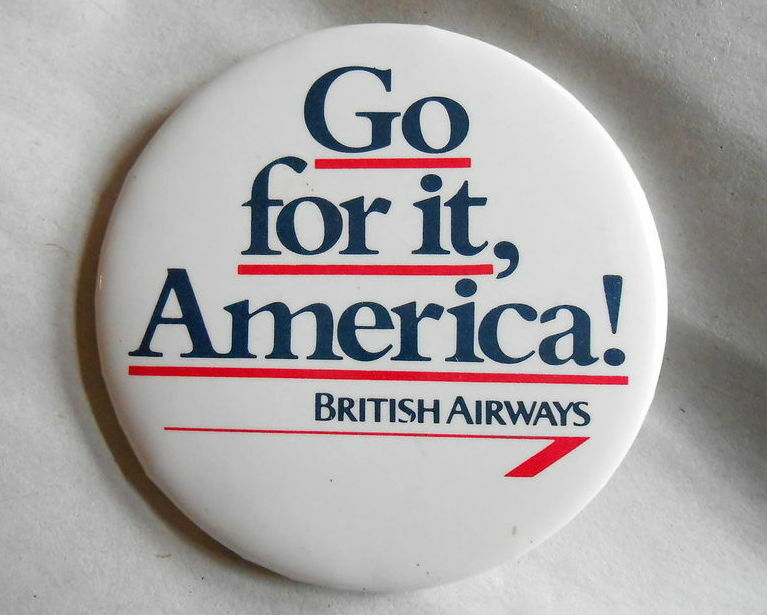 In 1986, British Airways ran a “Go for it, America!” marketing campaign to give away 5,200 free seats—all seats on its scheduled flights between USA and UK on June 10, 1986. In response, the upstart Virgin Atlantic ran its own newspaper advertisements that declared, “It has always been Virgin’s policy to encourage you to fly to London for as little as possible. So on June 10 we encourage you to fly British Airways.” And in smaller type, the ad read, “As for the rest of the year, we look forward to seeing you aboard Virgin Atlantic. For the best service possible. At the lowest possible fare.” The British Airways giveaway generated a lot of publicity, but most of the news coverage also mentioned Virgin’s unexpected, witty response. An determined young woman I knew was embarking on a career as a new architect. She had set her sights on a job with a prominent architectural firm, but her professors and career councilors urged her to gain experience at a smaller employer first, as no prestigious firm would take on an inexperienced, new graduate. Undeterred, the young woman applied to the firm she had set her sights for. When asked about her experience, she declared slickly, “I have no experience at all. You see, I want to learn this business at a top quality firm. Employ me and mentor me to suit your design practices. This way, I’ll not have to unlearn any of the second-rate skills I’d have learned in another place.” She got the job. When YouTube launched in 2005, many of its upstart competitors examined each uploaded video for copyright infringement. However, unlike its competitors, YouTube calculatedly let users upload any content and waited for copyright owners to complain before taking down noncompliant videos. By choosing to put their business model at risk, YouTube rapidly grew in content and viewers. Its early rivals faded out, and YouTube got acquired by Google and went on to became the world’s leading video-sharing platform. Legend has it that one day, the Spanish painter Pablo Picasso (1881–1973) had only blue paint to work with. When he started toying with the effects of painting with one color, he discovered the potential to produce interesting paintings that conveyed a sense of melancholy. Picasso had just relocated to Paris and was deeply affected by a close friend and fellow artist’s suicide. 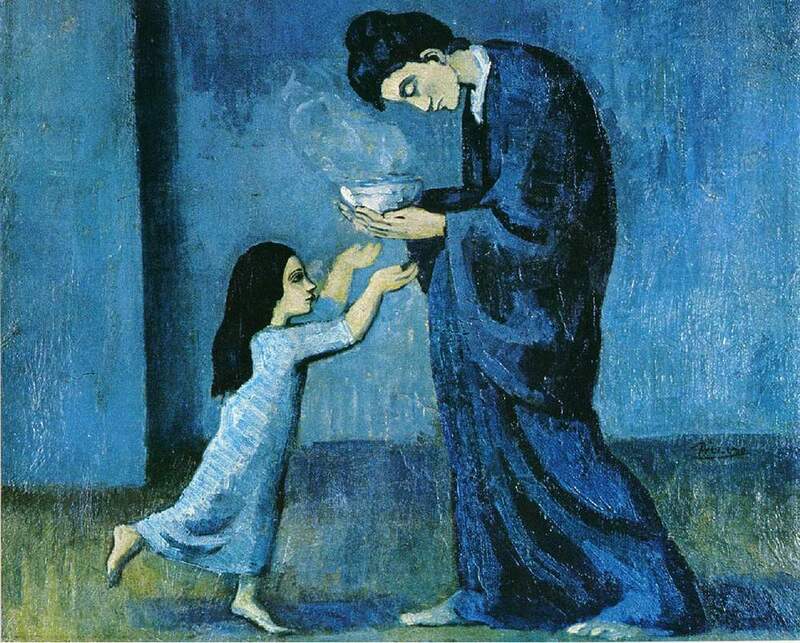 Art historians believe this event marked the onset of Picasso’s Blue Period (1901–1904,) during which he produced many stoic and sentimental paintings in mostly monochromatic shades of blue and blue-green. In what would become the hallmark of this greatest artist of the 20th century, Picasso leveraged an apparent constraint into an unintended creative outcome. In each situation, the inventor reframed elements of his/her world that he/she couldn’t control. When faced with an element of the situation that they cannot ignore or overcome, instead of tackling those problems head-on, creative folks tend to leverage their constraints in a creative way and reframe them into an exceptionally powerful problem-solving technique. Idea for Impact: Constraints often stimulate creativity rather than suppress it. 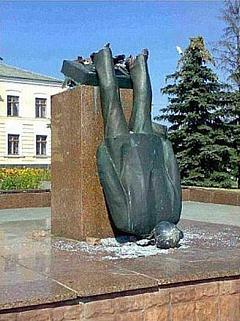 Stuck on a Problem? Shift Your Perspective! Toyota’s cars are reputed for their reliability, initial quality, and long-term durability. It is the pioneer of modern, mass-production techniques and a paragon of operational excellence. Even if its reputation has taken a beating in the last few years because of the uncontrolled acceleration crisis and major product recalls, Toyota’s long-term standing as the epitome of quality production is undeniable. Toyota measures and improves everything—even the noise that doors make when they open and close. 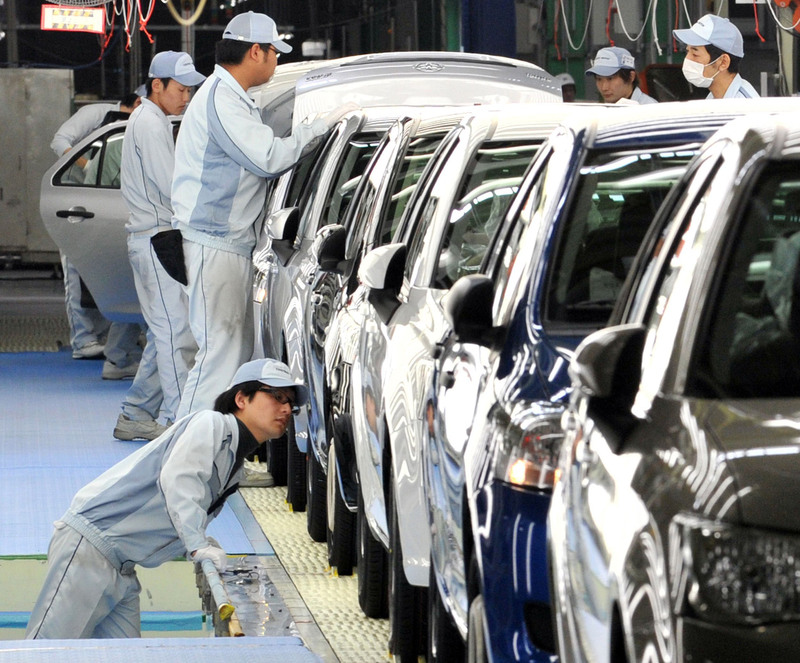 As cars roll off assembly lines, they go through a final inspection station staffed by astute visual and tactile inspectors. If they spot even a simple paint defect, they don’t just quietly fix the problem merely by touching up the paint to satisfy the customer or their plant manager. They seek out systemic deficiencies that may have contributed to the problem, and may hint at deeper troubles with their processes. As Jeffrey K. Liker explains in his excellent The Toyota Way, the genius of Toyota lies in the Japanese expression ‘jojo‘: it has gradually and steadily institutionalized common-sense principles for waste reduction (‘muda, mura, muri‘) and continuous improvement (‘kaizen.’) Liker, a professor of industrial engineering at the University of Michigan (my alma mater) has studied the Toyota culture for decades and has written six other books about learning from Toyota. 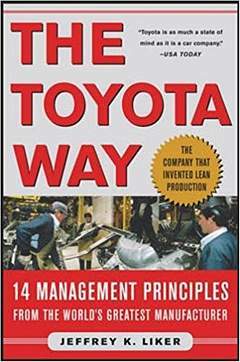 Book Recommendation: Read The Toyota Way. As Liker observes, “Toyota is process oriented and consciously and deliberately invests long term in systems of people, technology and processes that work together to achieve high customer value.” The Toyota Way is comprehensive and well organized, if tedious in certain parts. It can impart many practical pointers to help improve the operational efficiency of one’s organization. Peruse it. 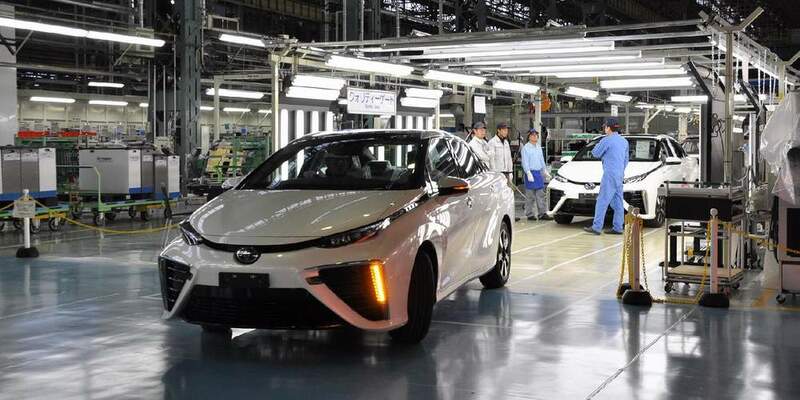 Postscript: I’ve taken many tours of Toyota’s Georgetown, Kentucky, factories and a few associated suppliers—once as part of a lean manufacturing study tour organized by Liker’s research group and other times privately. 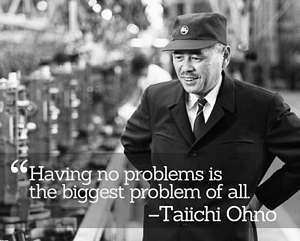 I strongly recommend them for observing Toyota’s matchless culture in action on the production floor. I also recommend the Toyota Commemorative Museum in Nagoya for a history of Toyoda Textile Machinery and Toyota Motor and their management principles. Heroes and role models are very useful—they embody a higher plateau of cognitive and emotional truth, knowledge, and accomplishment that you can aspire to. But the modern world has a dangerous problem with hero-worship: pop artists, rappers, film stars, sportspersons, capitalists, and so on command attention and affection as never before. This 2013 Financial Times article noted, “Way back in 2008, the three most admired personalities in sport were probably Tiger Woods, Lance Armstrong and Oscar Pistorius. They were portrayed not just as great athletes but as great men, role models….” And all these three popular heroes fell from grace. Now, Kalamas, don’t go by reports, by legends, by traditions, by scripture, by logical conjecture, by inference, by analogies, by agreement through pondering views, by probability, or by the thought, ‘This contemplative is our teacher.’ When you know for yourselves that, ‘These qualities are skillful; these qualities are blameless; these qualities are praised by the wise; these qualities, when adopted & carried out, lead to welfare & to happiness’—then you should enter & remain in them. Idea for Impact: Don’t blindly place much faith in today’s experts and celebrities. Realize the truth yourself. In two previous articles (this and this,) I’ve addressed the psychological concept of a “fixed mental set” or “fixation:” assessing a problem from a habituated perspective can prevent you from seeing the obvious and from breaking away from an entrenched pattern of thinking. A period of rest, entertainment, or exposure to an alternative environment can usually dissipate fixation. The resulting shift in perspective can alter your point of view in a literal and sensory way, or it may change the way you think about or define the problem at hand. A particularly instructive example of the beneficial effects of altering thought perspectives comes from Andy Grove’s autobiography / management primer Only the Paranoid Survive (1996.) Grove, the former Chairman and CEO of Intel who passed away earlier this year, was one of the most influential tech executives Silicon Valley has ever seen. 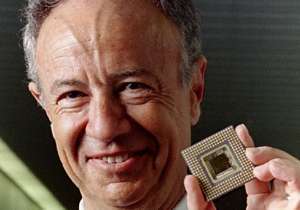 At the same time, a small entrepreneurial team of engineers had developed Intel’s first microprocessor. In 1981, Intel persuaded IBM to choose this microprocessor to run their personal computers. 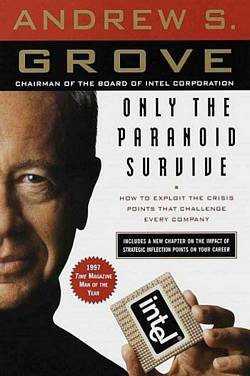 By 1985, when Grove was President, Intel’s executives engaged in an intense debate on how to respond to the onslaught of Japanese competitors in the memory business. One faction of engineers wanted to leapfrog the Japanese and build better memory chips. Another faction was in favor of disposing the lucrative memory business and betting Intel’s future on its promising microprocessor technology—something they believed the Japanese couldn’t match. In fact, when we informed them of the decision, some of them reacted with the comment, “It sure took you a long time.” People who have no emotional stake in a decision can see what needs to be done sooner. From the time Intel made the important decision to kill its memory chips business, it has dominated the microprocessor market. If existing management want to keep their jobs when the basics of the business are undergoing profound change, they must adopt an outsider’s intellectual objectivity. They must do what they need to do to get through the strategic inflection point unfettered by any emotional attachment to the past. That’s what Gordon and I had to do when we figuratively went out the door, stomped out our cigarettes and returned to the job. People in the trenches are usually in touch with pending changes early. Salespeople understand shifting customer demand before management does; financial analysts are the earliest to know when the fundamentals of a business change. While management was kept from responding by beliefs that were shaped by out earlier successes, our production planners and financial analysts dealt with allocations and numbers in an objective world. Often, you can find the solutions to difficult problems merely by defining or formulating them in a new, more productive way. Consider employing Andy Grove’s “Revolving Door Test” and examining your problems through an outsider’s lens. This shift in perspective may not only engender intellectual objectivity but also muffle the emotion and anxiety that comes with momentous decision-making. At Toyota, as cars roll off the assembly line, they go through a final inspection station staffed by astute visual and tactile inspectors. If these inspectors spot a paint defect, they don’t just quietly fix the problem merely by touching up the paint to satisfy the customer or their plant manager. 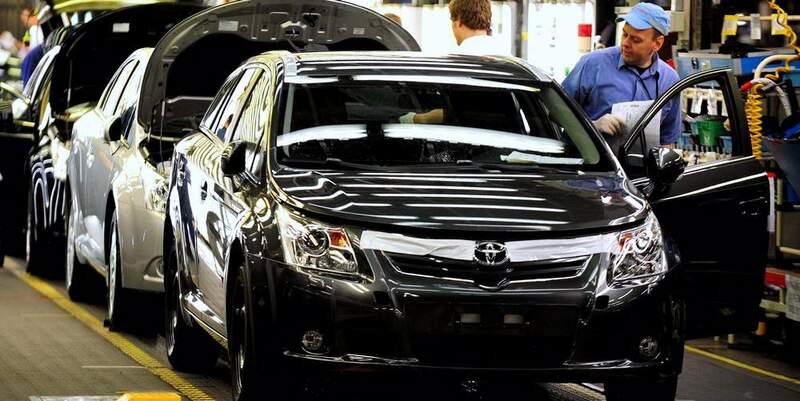 As part of Toyota’s famed kaizen continuous improvement system, floor workers identify the systemic causes that led to the specific defect on the specific car. They then remedy the root cause of the problem so it won’t happen again. 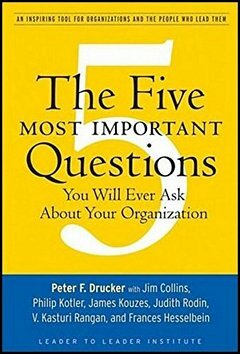 Most companies cherish employees who are watchful of problems and take it upon themselves to detect and solve problems without criticism or complaint. A software company, for example, may treasure a programmer who observes an unforeseen coding mistake, and swiftly develops a patch to keep her project moving forward. In contrast, companies like Toyota who are obsessive about quality improvement, organizational learning, and developing collective intelligence don’t reward or tolerate such quiet fixers. Idea for Impact: To develop collective intelligence and build smarter organizations, discourage employees from heroically patching up recurring problems. Instead, encourage them to find, report, analyze, experiment, and fix systemic problems to prevent their recurrence. 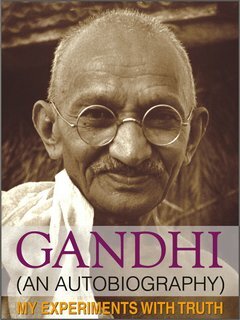 Gandhi's transparent glimpse into the mind of a truly great soul who demonstrated that an individual dedicated to conscious living, honesty, and love can overcome any violence or hatred.